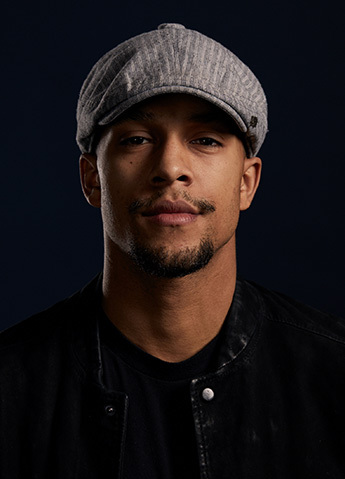 Luke Broadlick is a multi talented entertainer. Luke moved to Los Angeles to become an actor and became that and so much more. Booking a national commercial, on his first audition at 14, lead him to guest star roles and tv spots. At 16, Luke was a six time (ISKA) And 13 time (NASKA) World champion Martial Artist. After dancing for only 6 months Luke booked Britney Spears' "Circus Tour" at the age of 16. Since then, Luke has toured and worked with artists such as Justin Bieber, Selena Gomez, John Legend, Katy Perry, Jason Derulo, The Jonas Brothers, Demi Lovato, and many more, Performing on countless shows from The Academy Awards, AMA's to the Super Bowl and working with big brands like Nike, Mcdonalds, Disney, Nickelodeon, Samsung to name a few. Luke has Choreographed for Britney Spears' "Femme Fatale" Tour, JBalvin "Energia" Tour, Both Magic Mike films and helping create live Las Vegas show. Now 25, Luke is a husband and a father who's bicoastal from Los Angeles & Atlanta, & enjoying every moment given.